I wanted my 25th birthday this year to be a very low-key affair simply because I’m not really a ‘birthday’ person. My reasons explained are here. Anyway, I grabbed a close friend of mine and we hit up Madison Restaurant and Cocktail Bar in the St Paul’s area. This place had been on my ‘restaurants to visit’ list for a while and thought it’d be a great place to celebrate in style. I’m a sucker for a rooftop bar and Madison offers gorgeous views of London and the lovely building that is St. Paul’s. Being it typical London weather, it was quite rainy in July, so our chances to sit outside and enjoy the night were slightly ruined. 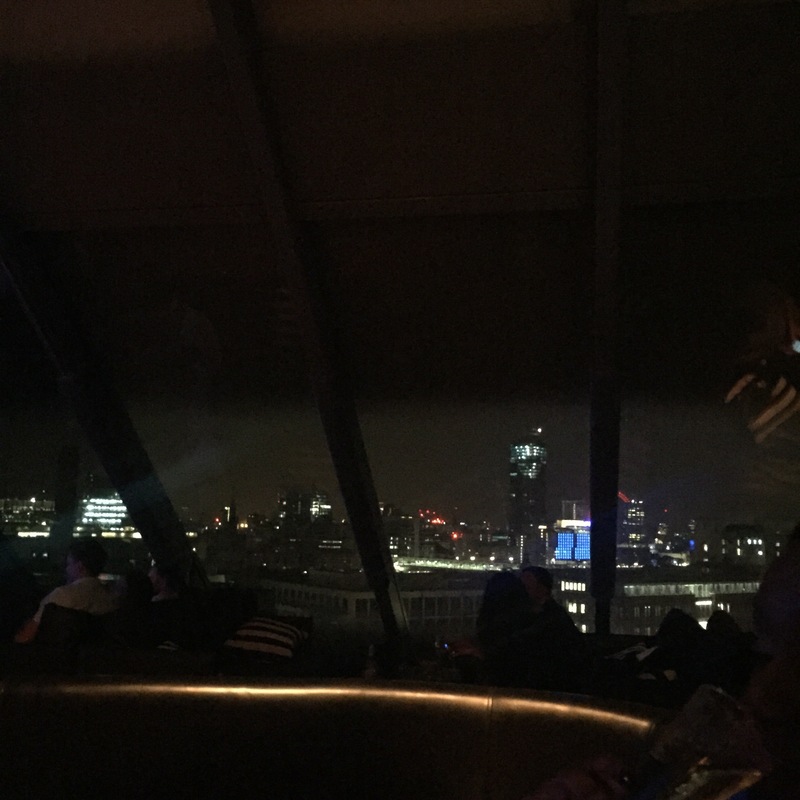 However – our table inside was fantastic, offering views of the lovely restaurant and the City of London, so we weren’t disappointed anymore. Having drooled over the menu for over 20 minutes, we decided to order a bottle of wine to start the night. Madison’s menu is actually really good value for what it is and there is so much choice, you might want to order everything. 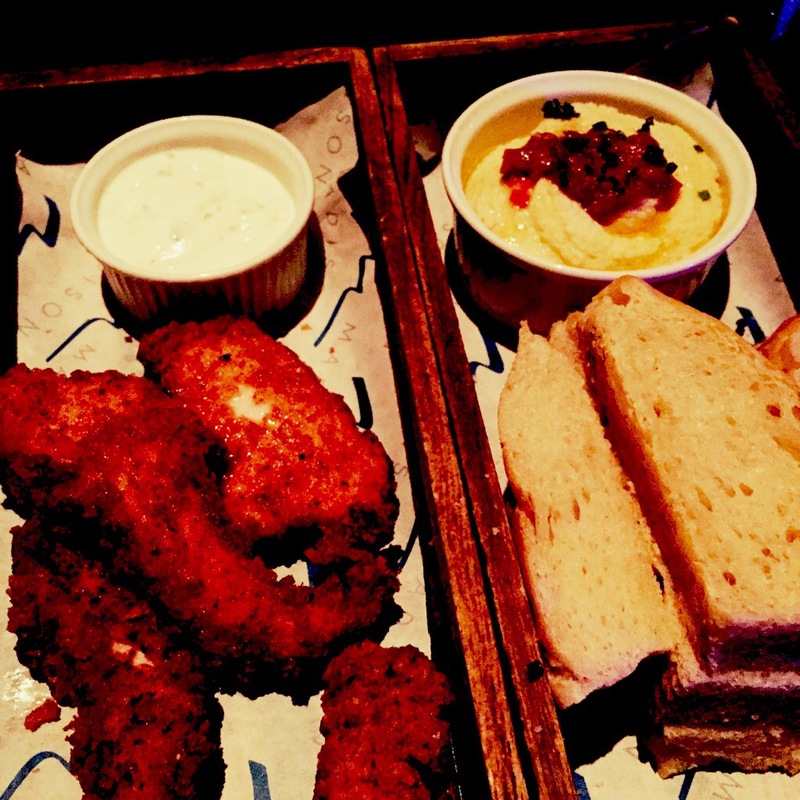 We finally decided to order a load of starters…including the buttermilk chicken, chorizo baked beans, the artichoke hummus and macaroni cheese. We still had room for a main and we both ordered the lobster hotdog, obviously. The food came out quickly, the waiter kept topping up out glasses of wine, so I could all in all say the service was amazing. Not only that, the food was TO DIE FOR. I could not believe how tasty and flavoursome everything was. The buttermilk chicken is making me teary-eyed as I write this, I really hope I finished mine. Do you sometimes get those moments when you’re hungry and you wish you could go back in time and finish your unfinished meal? 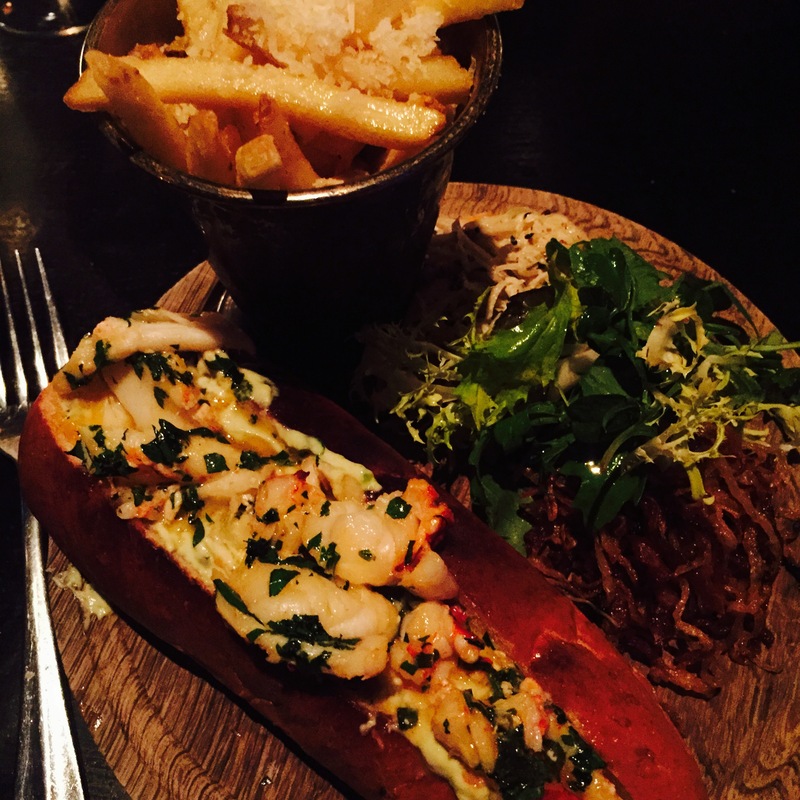 Not only were the sides/starters amazing, the lobster hot-dogs were so tasty and they were accompanied with a side of truffle fries which was a nice twist. By this point we were obviously on to our second bottle and enjoying the night. The waiter had earlier in the night asked my reason for visiting and I embarrassingly said it was my birthday come midnight… They were so attentive and after we’d finished our meal out came a cake with sparklers and two shots of Sambuca. Safe to say, my 25th year on this planet started with a bang! Then came the bill (eeek! ), I think it was somewhere in the region of £140, which is actually not too bad considering it was a “big night out”. Afterwards, we headed outside onto the covered part of the roof terrace, ordered cocktails and a £65 bottle of champagne that we regrettably didn’t finish (sigh). Here is where I want to go back in time and finish it. Someone make a food/drink time machine PLEASE. All in all, Madison is a great place to visit, day or night, if you’re looking for somewhere with a view and not the typical Mayfair or Soho venue. I will be back and I will be finishing any bottle I order. "Musings: There’s No Place I’d Rather Be… [A Travel Bucket-list]"